Feeling twitterpated over Switch? Just can’t get enough news on the lifestyle for bright minded gals with a creative edge? Well, now you can now keep up on all the latest and greatest articles, links, press, workshops, and happenings on iHeartSwitch and me, Alison Lewis, through Twitter. We’ve added a module on the homepage to keep up with tweets or you are welcome to give me a follow on Twitter, Twitter name is SwitchGirl. I am so excited to announce that on May 3rd, I will spend the day with the Girl Scouts of America in Los Angeles, CA. 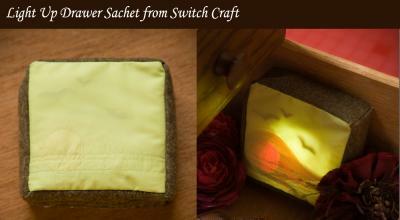 Senior and Ambassador Girl Scouts will explore fashionable form and function and technology’s role in empowering women to represent their ideals, and will create their own Light Up Aromatherapy Drawer Sachet, from Switch Craft. If you are in the Austin area and also a fan of electronic art, design, and music, don't miss the Dorkbot Austin meeting tonight. Alison and 15 other presenters will showcase their works in a night of electronic fun. Starting today IHeartSwitch.com's website has a totally new look and interface. Why? Well, because we have so much to give, we needed a website that could hold it all! - Fresher look! We went with an open design with less graphics so you can have and see all the information you need, like the latest projects and announcements just a click away. - New Content! We will now cover a wider range of technological topics including beauty, home, life and style, and pop culture. Alison Lewis from IHeartSwitch publishes "Femme Fashion Tech," which discusses the draw of women to the fashionable technology world. The article can be found in this issue of ANAT's (Australian Network for Art and Technology) Filter magazine entitled CODING CLOTH. 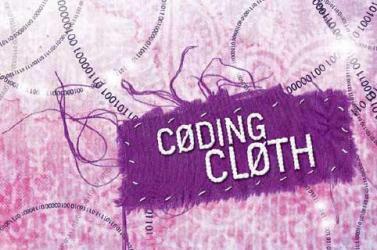 The CODING CLOTH issue delves into the topics of textiles and electronics and dares to ask, 'what is the future of wearable technologies'? The journal is part of a larger exhibition of interactive textiles on display at ANAT called Coded Cloth, New Media Textile.